Sept. 30, 2015, was a joyous day this year, although it marked the 24th anniversary of the sad and bloody 1991 coup d’état led by former Haitian Army Gen. Raoul Cédras and Lt. Col. Michel François against the democratically elected president, Jean-Bertrand Aristide. The coup killed some 5,000 people, according to some estimates, and over 20,000 according to others. Occurring five years after the Duvalier dictatorship’s overthrow, the Sept. 30, 1991, coup temporarily trampled the democracy that had begun to take root in Haiti. Justice, transparency, and participation were the ideals of the movement which culminated in the Dec. 16, 1990, election that brought Aristide, a former priest at St. Jean Bosco church, to power. Twenty-four years later, the struggle for justice, participation, accountability, and democracy continues. If Sept. 30, 1991, symbolizes the crime and despair which came with the killing of democracy, could Sept. 30, 2015, promise the Haitian people change and hope for strengthening democracy? To commemorate Sept. 30 this year, two major events occurred in Port-au-Prince. First, the Lavalas Family Political Organization brought together thousands of people from all walks of life in a massive demonstration. Second, Dr. Jean Bertrand Aristide made his first public address since returning to Haiti from a seven-year exile on March 18, 2011. Excitement grew in the days before Aristide’s statement as Lavalas leaders announced it would happen in meetings and on radio shows. But previous promises that Aristide would make a public appearance had been broken, and many remained skeptical. The plan was for him to speak on the runway of the former military airport located at Delmas 2 in the capital, near a vast shanty town which sprang up after the Jan. 12, 2010, earthquake. Early on the morning of Sept. 30, crowds began gathering, chanting “the mute one will speak, those who aren’t happy about that, get ready, hypocrites will be surprised.” A jubilant crowd sang and danced in the streets, hoping to glimpse their charismatic leader’s arrival. They held up blue and red Haitian flags, as well as photos of Aristide and of Dr. Maryse Narcisse, Lavalas Family’s presidential candidate in the upcoming Oct. 25 election. The suspense grew until about 1:00 p.m. when Dr. Narcisse arrived at the head of a large delegation and made her way to the stage prepared for the occasion. 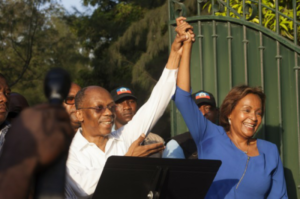 Accompanied by Sen. Jean Baptiste Bien-Aimé and several other dignitaries, she announced that Aristide would not come to the former airport but was waiting outside the gates of his home in Tabarre. Immediately, the vast crowd streamed towards Aristide’s residence, four miles away, via the National Road # 1, Cazeau, Clercine, and then Boulevard October 15. Once there, the crowd packed densely in front of the house, with people sitting in trees and on walls to get a view. Thousands in homes and streets around Haiti followed the event on radio and television. Standing next to Dr. Maryse, Aristide, in a prepared but emotional seven-minute speech in Kreyòl, saluted the memory of the victims of the Sept. 30, 1991, coup d’état. He called the first round of Aug. 9 legislative elections an “electoral coup, a selection and not an election.” The authors of this “electoral coup” were “mentally ill,” suffering from a disease called “unilateral spatial neglect,” Aristide said. 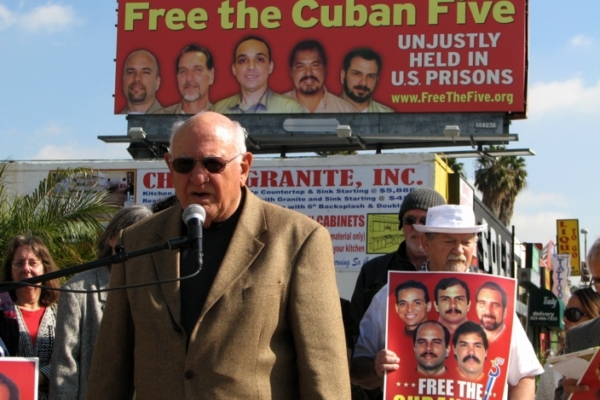 This show of force 11 years after the kidnapping-coup of Feb. 29, 2004, reveals the Haitian people’s strength and that of the Lavalas Family party. In recent weeks, thousands of Lavalas Family militants have demonstrated in the streets of the capital against the electoral coup of Aug. 9, calling for its annulment and the resignation of the Provisional Electoral Council (CEP) and, sometimes, even President Michel Martelly. 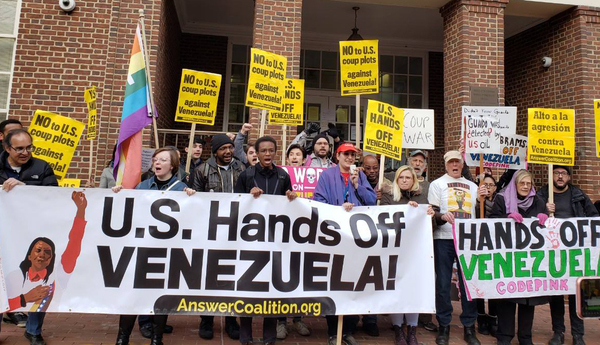 On Oct. 6, demonstrators again took to the streets to protest against the visit of U.S. Secretary of State John Kerry. He traveled to Haiti in an effort to shore up political support for the Oct. 25 U.S.-financed elections, which are increasingly in doubt as a national uprising, much like that in Guatemala, grows against Martelly and his CEP following the Aug. 9 polling plagued by violence, fraud, and abstention.